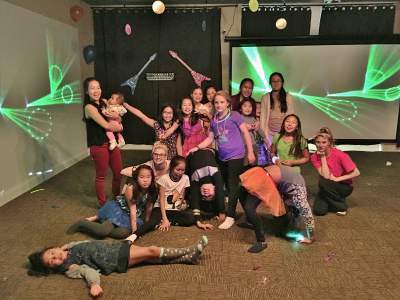 For children ages 8, 9, 10, 11 or 12 years old, we offer dozens of fun party ideas that are fit for a tween birthday party. In addition to themed parties, tweens enjoy games. We offer choices of Jenga, relay races, truth or dare junior, indoor Olympics, obstacle courses, hula hoop games, and more to suit your child and party. We can also include karaoke and dancing, as well as tween-appropriate crafts. Tweens love the photo booth and props. Tweens may begin to gravitate toward parties where all, or most, of the guests are one gender. Their friends and peer group are important to them. The gender gap is narrowing. Girls may enjoy a Star Wars, Wonder Woman, or Pirate Party. Likewise, don’t rule out Karaoke, Pajama Parties, or Dance Parties for the boys. You know your child best! There are no hard and fast rules about different themes at different ages. You’ll want to choose a party theme that appeals to your tween and his/her guests. 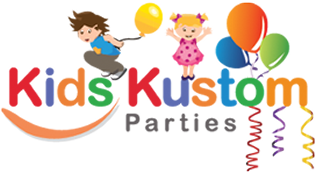 We’ll customize the activities to engage and entertain all the children in attendance. Keep in mind, that 8- and 9 year-olds may have more in common with and appreciate the same fun party characters and same party themes as 7-year-olds.